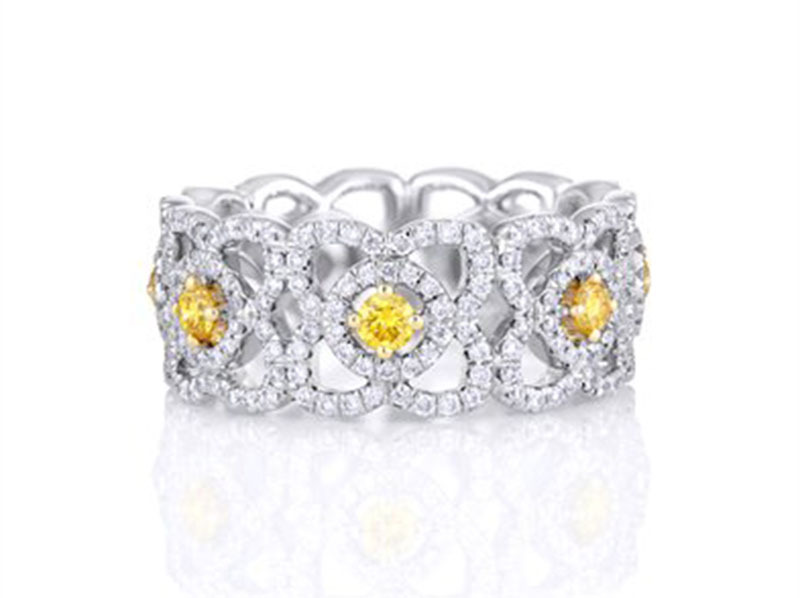 The Enchanted Lotus Band with fancy yellow centre diamonds will light up the room. 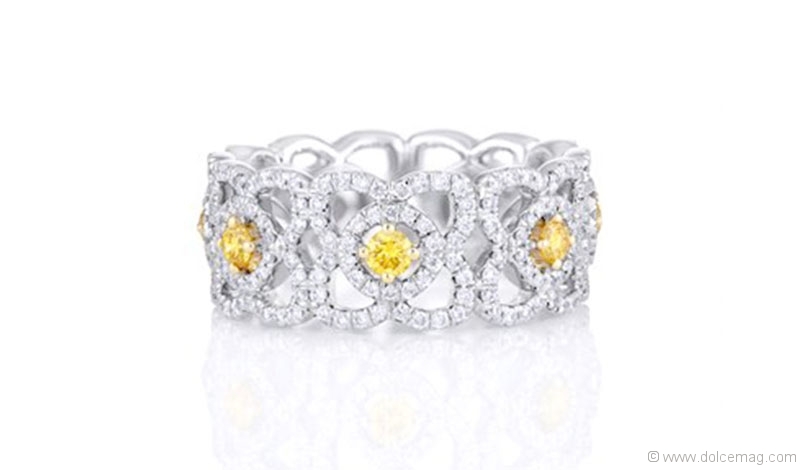 This 18-karat white and yellow gold piece radiates femininity, with a rare fusion of nature and art. With no shortage of brilliance, De Beers adorned this marvel with precisely 301 round diamonds. Three is better than one, especially when it comes to diamonds. 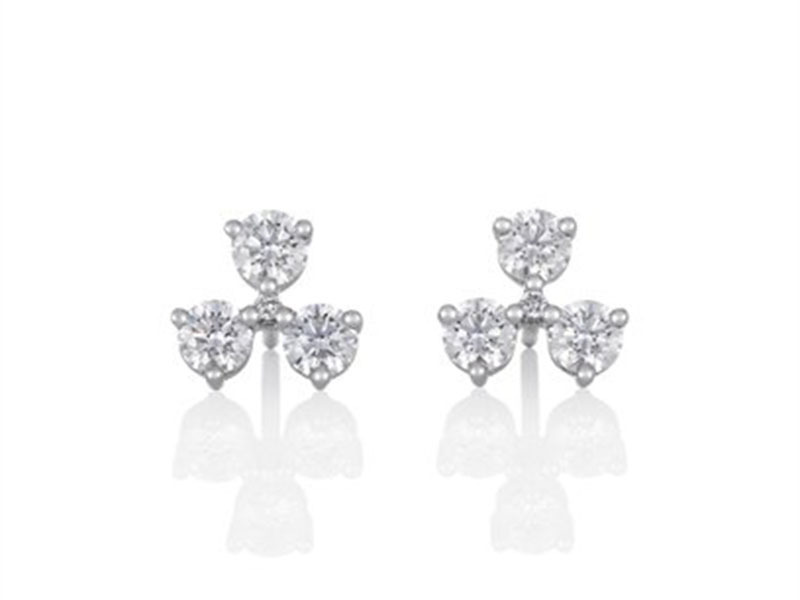 De Beers’ Corsage Three Diamonds Cluster Earrings are made of 18-karat white gold and make for an exciting addition to any ensemble. IMAGINARY NATURE PENDANT The Imaginary Nature Pendant captures the eye with its distinctive form. 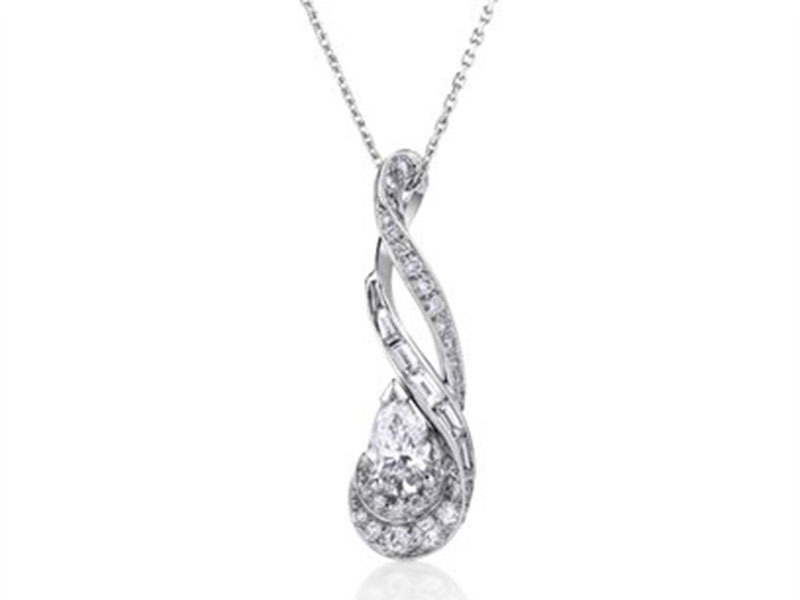 The beautiful diamond nestled amongst the contours calms the pendant’s lively energy.